With so many wall art options available now, I never cease to be amazed when someone comes up with something clever and new. 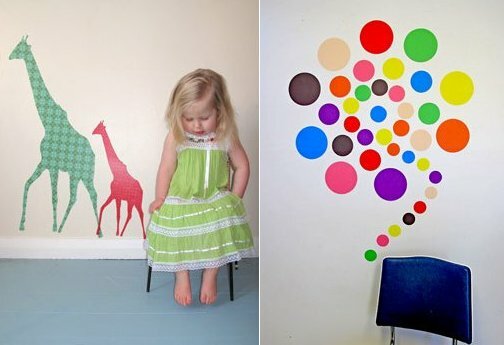 Imagine having a hand-designed, hand-painted wall decal made from fabric… imagine no more, it’s here! 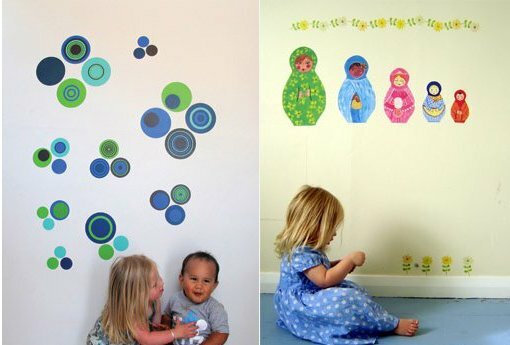 New Zealand-based StickyTiki design paint their own fabric wall graphics by hand. We’re told they are a cinch to use, with no wrinkles or ripping of shapes and can be washed clean if grubby fingers find them hard to resist. Add to this the fact that these fabric decals can be repositioned many times over and can even be used outdoors, they sound like a dream! StickyTiki have a staggering twenty-five designs to choose from, ranging from giraffes to my favourite, the retro dots. I love that StickyTiki have even got a few native New Zealand themes available such as the Pukeko hen, Tui bird and the Pohutukawa tree. The Hundreds and Thousands dot set is priced at NZ$70 from StickyTiki with delivery available to Australia.